New York, July 9, 2013 – The American Lawyer announced today that Hughes Hubbard & Reed is a winner of its first inaugural Global Legal Awards. 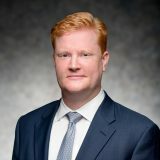 The publication awarded Hughes Hubbard with “Global Finance Deal of the Year: Private Restructuring” in connection with the firm’s representation of partner and chair of Hughes Hubbard’s Corporate Reorganization and Bankruptcy Group, James W. Giddens, the Trustee of MF Global Inc.–the most significant MF Global entity both in terms of value of assets and number of claims filed and determined. The liquidation of MF Global., Inc. is the largest commodities broker liquidation ever, with significant cross-border issues and proceedings in six countries. The Hughes Hubbard team conducted an exhaustive investigation into missing customer funds and led an unprecedented claims process, determining over 34,000 claims less than eleven months following the commencement of the liquidation. 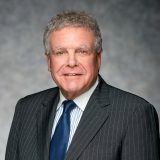 The Hughes Hubbard team was led by partners James B. Kobak, Jr., Christopher K. Kiplok and Sarah L. Cave.